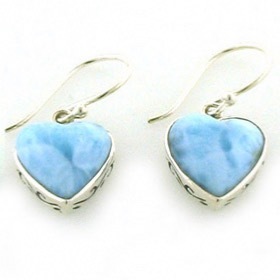 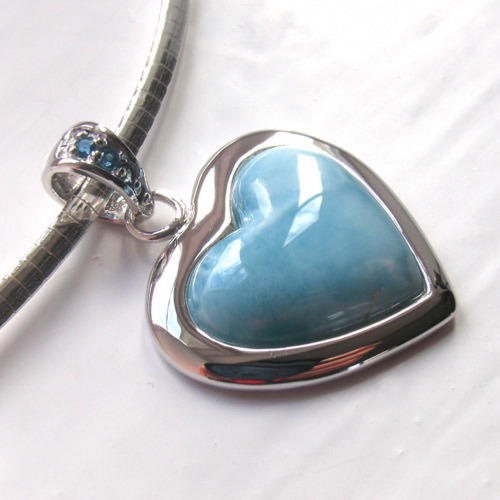 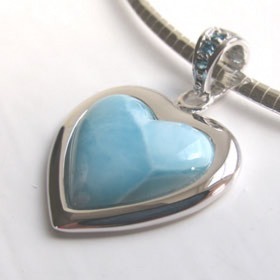 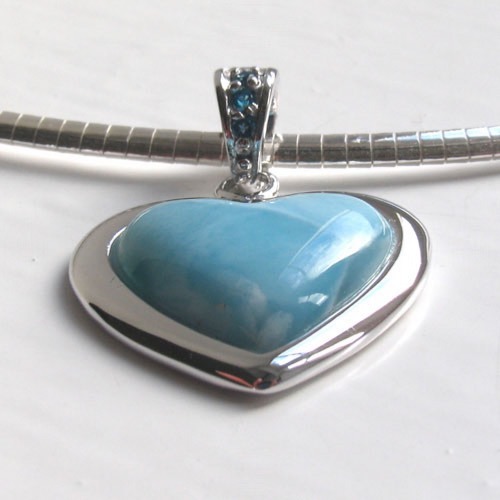 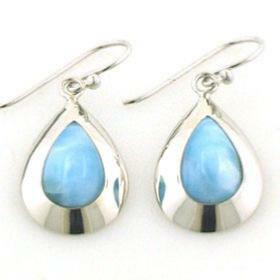 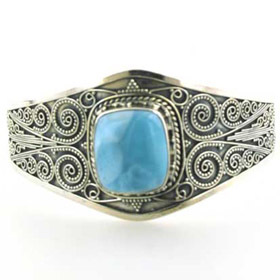 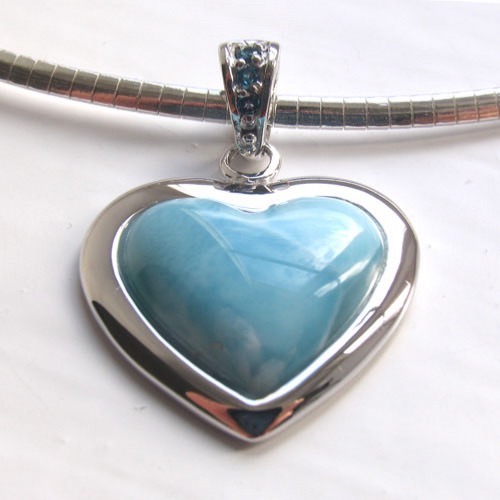 This is a beautiful piece of larimar jewellery. 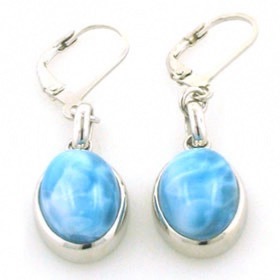 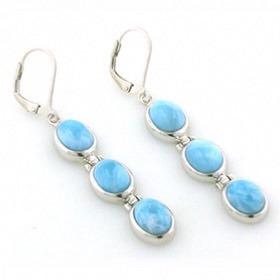 The larimar stone displays marked reticulation combining the aqua blue with the delicate pastel blue. 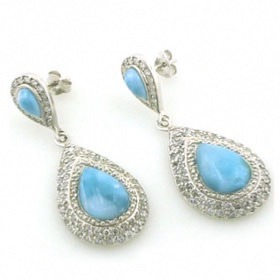 Inlaid in the bale are 3 london blue topaz gemstones which coordinate with the larimar perfectly. 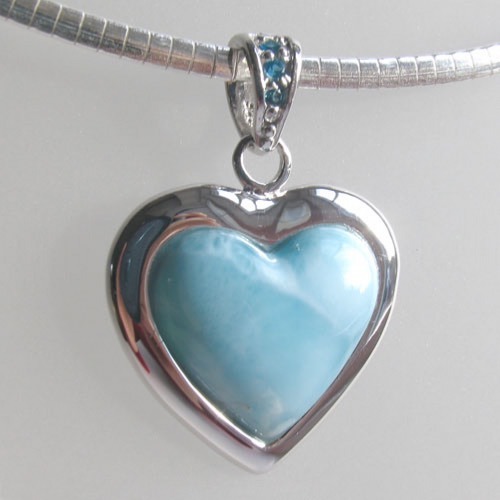 The setting of this larimar pendant is expert, clean and precise. 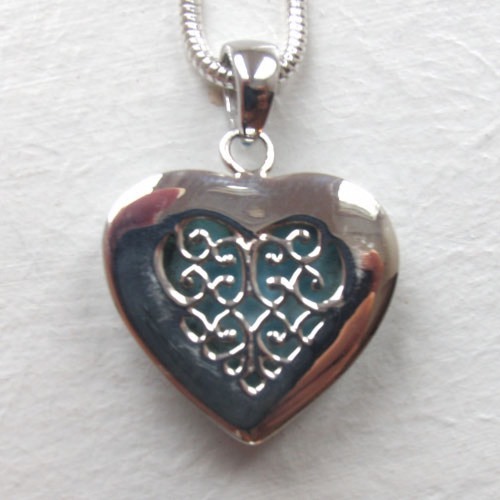 There is a smooth silver flange around the perimeter of the heart and the back of the pendant has pretty open scroll work. 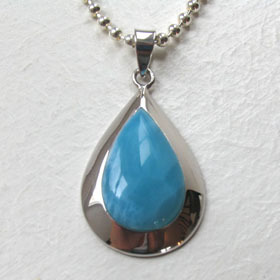 We liked our silver omega chain, width 2mm with this larimar pendant so that's the chain in the photo! 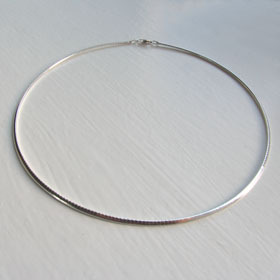 To make your own choice, see all our Italian silver chains.